WHAT IS R4 RALLY CLASS? The R4 class is official all wheel drive FIA category, which was recently added to the FIA World Rally Car hierarchy to fill the gap between front wheel drives R3 & R2 categories and the all wheel drive R5 class. 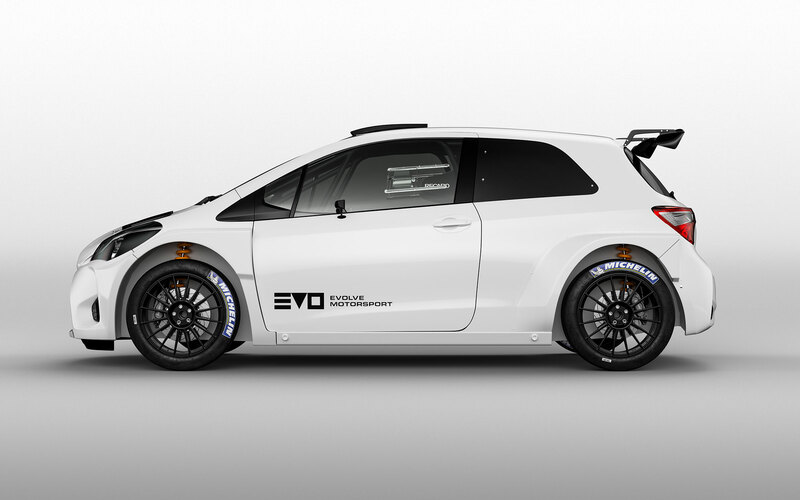 WHAT IS THE GOAL OF MAKING A NEW AWD RALLY CLASS? If you want to drive an all wheel drive car in FIA rally today you have rather limited options. You can either choose R5 car or you can opt for the old N group (currently called NR4). The first option – the R5, while being a grown-up product which is fun to drive is also the most expensive option available and offers limited number of vehicles. You can get the R5 car from Ford, Skoda, Hyundai and Peugeot with a few new entries coming next year from VW and Citroen. So if you are on the budget or wish to partner with a manufacturer who doesn’t have a R5 car you will need to look elsewhere. The second option, the N group, is even worse. The production cars from Subaru & Mitsubishi are at least ten years old and are slowly disappearing from special stages. Even Subaru & Mitsubishi are no longer committed to them. They have a few benefits, but a lot more disadvantages. These cars look old, they are not attractive for advertisers and spectators. Homologated modifications and replacement parts are also a bit too expensive. This is where the R4 come into play. 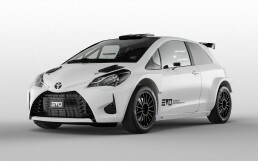 It is supposed to replace the old N group cars with the modern, rally designed construction, which is also less expensive to drive than R5. It’s not a new concept as national championships are full of open classes, which allow freedom for constructors and teams as well as cost efficiency. Just to name a few – take a look at AP4 from New Zealand or Polish Open N class. The difference is that R4 is FIA approved, which means that R4 is eligible to enter any FIA rally, including regional championships like ERC. HOW IS THE R4 CAR BUILT? 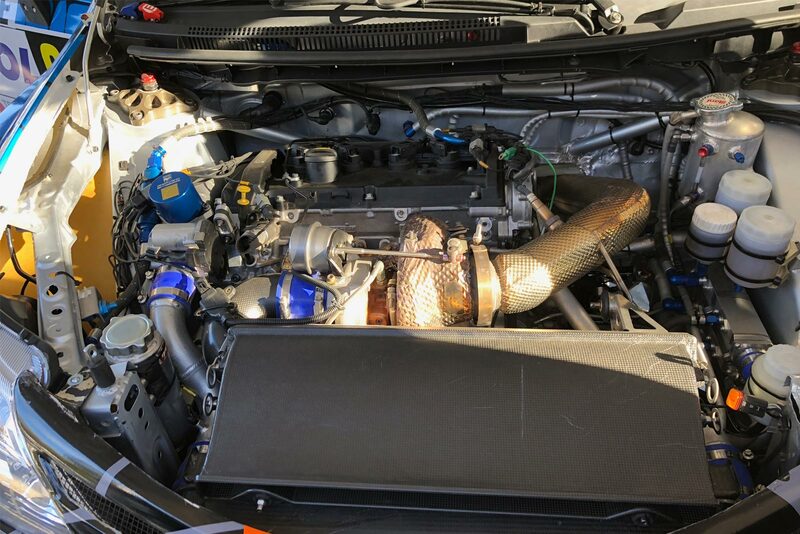 All R4 category cars are equipped with an universal FIA homologated kit that consists of a turbocharged 1.6 engine, proven R5-like transmission, long travel suspension and all wheel drivetrain. Teams will be able to buy the R4 kit from FIA approved supplier and build the R4 car of their choice. 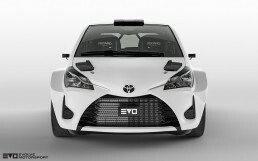 This should bring wide variety of cars to rallying and allow more manufacturers to join the race. WHO IS THE R4 CAR DESIGNED FOR? The R4 is a great option for drivers upgrading from R2 or R3 to AWD car. The R4 should provide them with smoother learning curve to upper classes and plenty of close competition as all R4 cars will share most of the components which are key to car performance. FIA is not planning performance upgrades to R4 kit for the next 7 years, so we expect, that all cars will be very close in terms of speed. WHO IS DELIVERING THE R4 KIT? Oreca was selected as FIA Approved Supplier for the kit for 2017, 2018 and 2019. The kit is homologated for the next 7 years with option to be renewed twice for 2 years each time. WHAT IS INCLUDED WITHIN THE R4 KIT? fuel cell with internal pumps. WHAT IS MISSING IN THE R4 KIT? Chassis, suspension dampers & springs, cooling, radiators, cockpit equipment, exhaust, wheels and lot of small stuff. 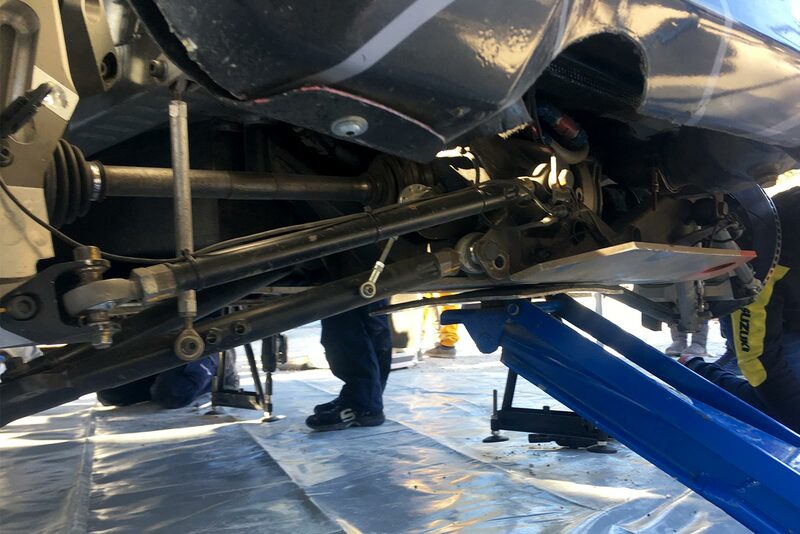 All parts which are not supplied within the kit can be sourced freely, but they must homologated with local ASN during production of the R4 car. WHERE CAN I BUY R4 CAR? 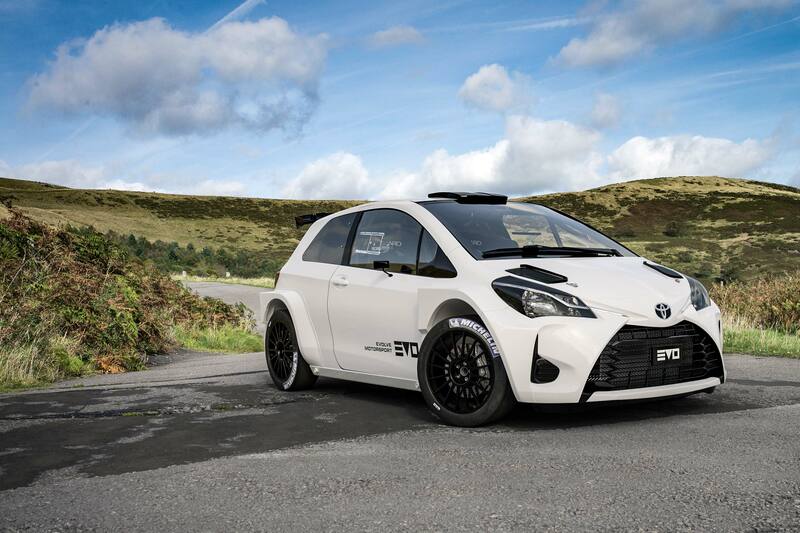 You can build it yourself or buy from number of suppliers, including Evolve Motorsport (currently offering Yaris R4). 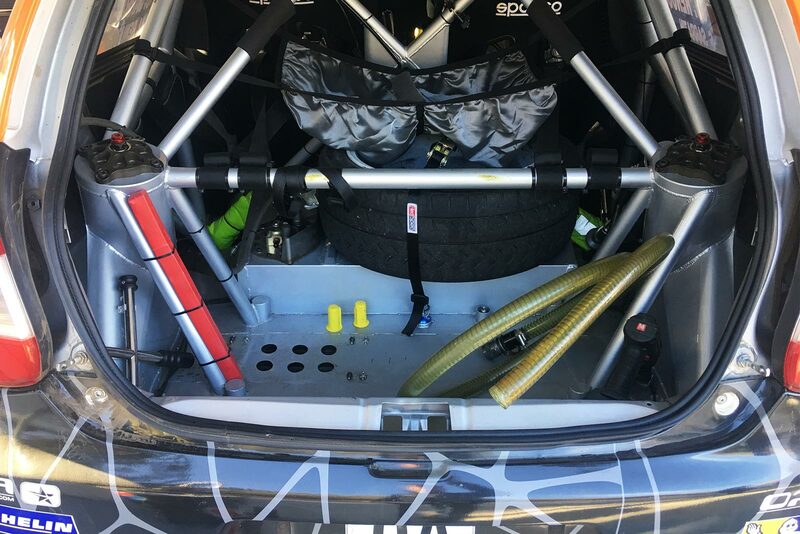 The elements of the R4 kit have been developed to withstand both tarmac & gravel rallying. The only parts which are different between tarmac & gravel specs are brake discs and their mounting bells, interface between hub carriers and suspension triangles. Add dampers, springs and wheels and you are ready to go. WHAT IS THE PERFORMANCE OF R4 CAR COMPARED TO R5? 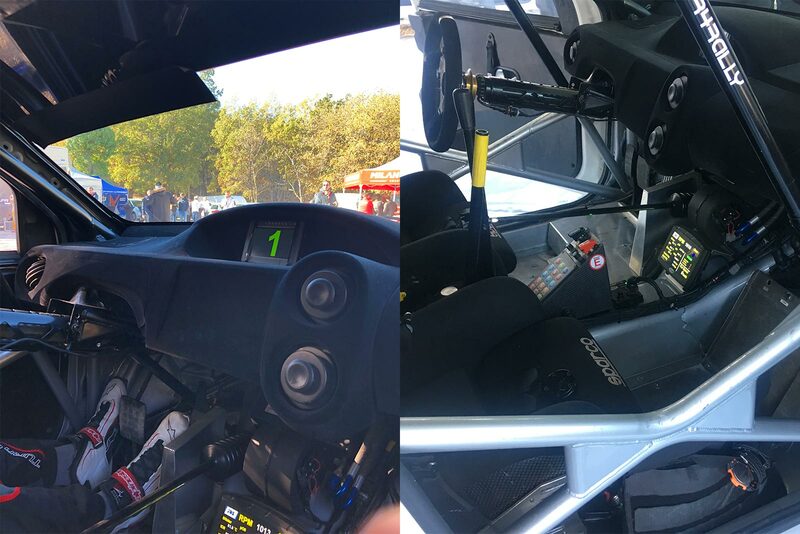 As we had opportunity to drive Oreca first R4 prototype Toyota Etios, we have to say that we were impressed with handling and balance of the car. 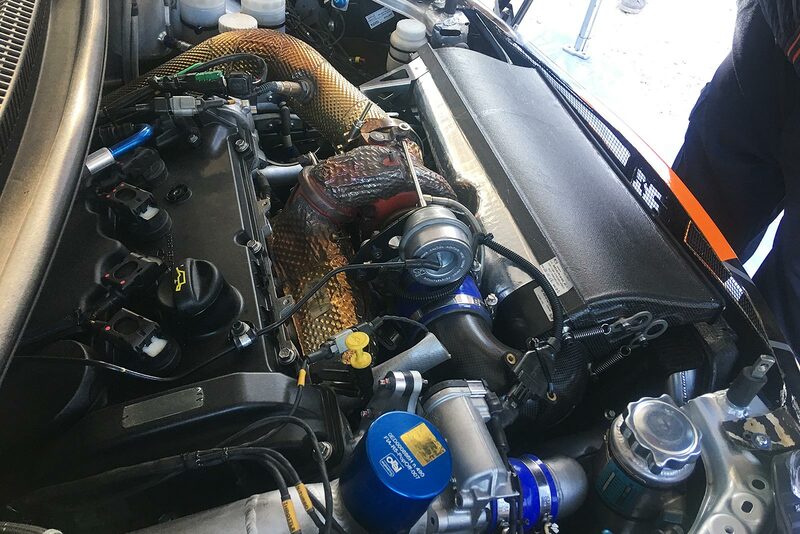 It seems to be R5 quality drivetrain and suspension with a bit less powerful engine, which is running 98 octane unleaded fuel and it is delivering 263 horsepower. 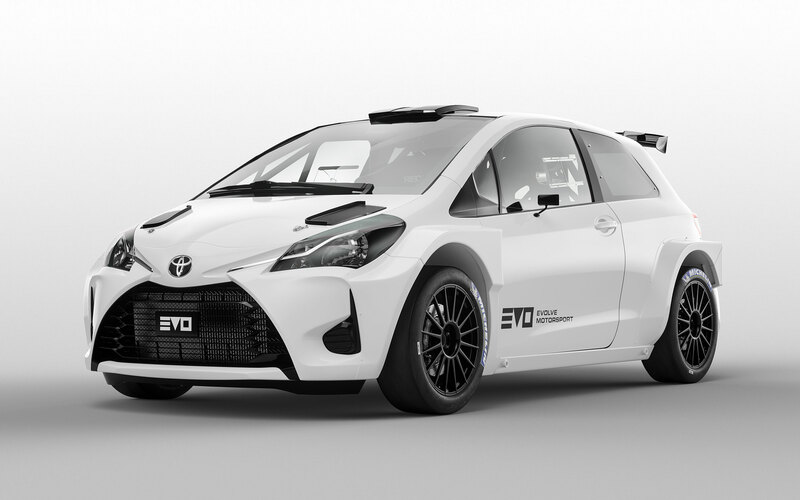 The prototype Etios R4 was driven by Stephane Sarrazin during Rally du Var and proved to be just 0,5s per km slower than top R5s. WHAT IS THE COST OF DRIVING R4? While there is no final pricing for the car, we estimate that it will cost around 180-200k EURO, which is decent compared to R5, which usually goes around 220k. While around 20% cheaper to buy, the R4 running costs are something to look at. Oreca estimations say that it can be up to 40% cheaper to operate than R5. This is mostly because the R4 is designed with a focus on reliability and serviceability. The car is going on 98 fuel. Parts undergoing major wear and tear are standard and available locally. The engine is very close to its standard spec which allows teams to service it locally. 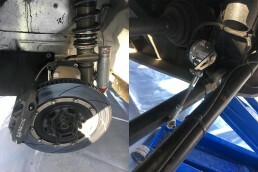 Hub carriers and brake calipers are identical on all 4 wheels and compatible on both tarmac and gravel versions. WHAT KIND OF RALLIES CAN I JOIN WITH R4? 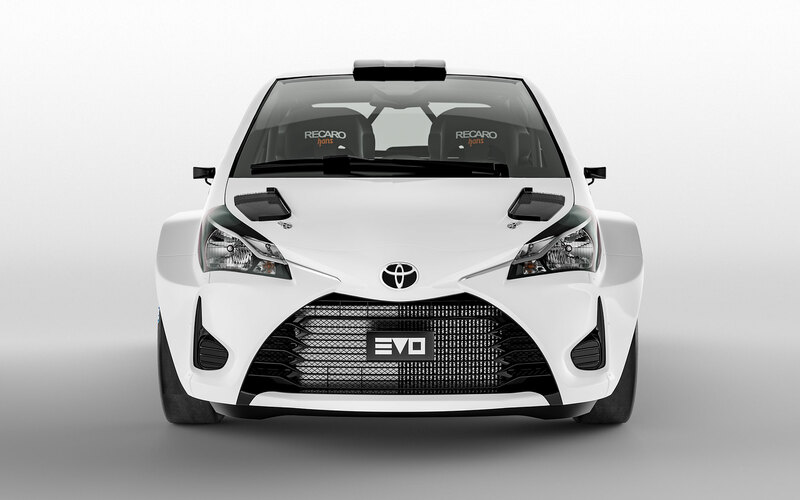 R4 cars will be allowed to enter all kind of championships worldwide including regional championships. If you think about FIA regional championships with an all wheel drive car, R4 and R5 are the only options and R4 looks promising. If you want to join national championships you can also take a look at the local ASN regulations and choose open class. 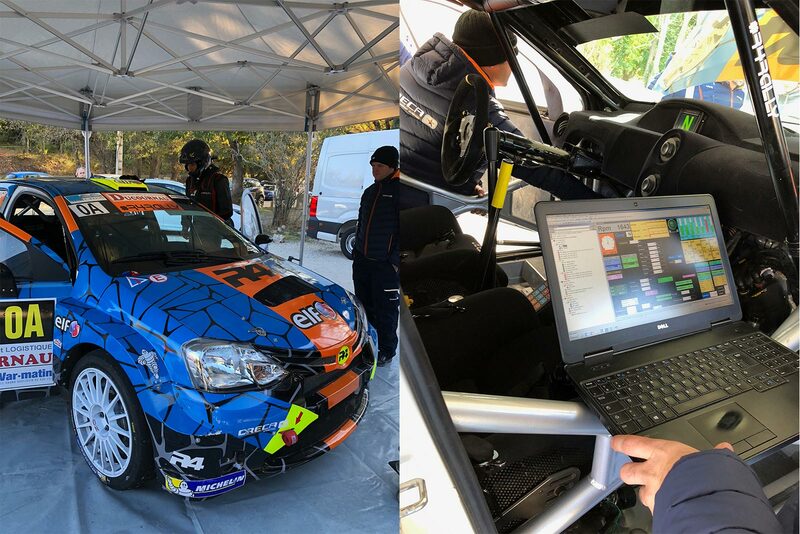 Most of these classes allow teams to build rally cars, based on modern compact vehicles (Skoda Fabia, Ford Fiesta, Suzuki Swift, VW Polo) and some of N group components (engine, transmission) with less limitations related to replacement parts (like suspension, brakes, fuel systems). Fabia Evolve is perfect example of the car designed for open class rallying. You can find open classes in Poland, Lithuania, Slovenia, Croatia, Spain and many other countries. Any other questions? 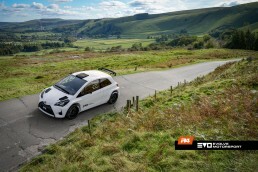 Drop us a line at r4@evolve-motorsport.com.